Guts! It’s a new brand that launched earlier this year and seems to be a pretty big hit. Don’t get confused if this is exactly the first time you’re hearing of them, since I would likely not know of their existence either, if I haven’t known the owner of the brand. I’m happy that I did though, since Guts.com is one of the best new casinos released in 2013 and actually I start to view them as one of the top online casinos currently operating in the industry. How come or why? Well, there’s so much to Guts Casino that really makes them amazing. I can’t even count all of those things that makes them so amazing. It just seems that everything they offer is exactly matching with what mainstream of casino players are after. This is the case with games, bonuses, promotions and withdrawals, which are truly extraordinary. Guts Casino is based on the platform of EveryMatrix, which merges a large amount of software providers and gambling developers and offers them in a single, convenient platform. All games are available in a no-download need environment, directly from a browser. Software wise, Guts.com offers games from NetEnt, MicroGaming, Sheriff, Betsoft, NextGen, Omi, IGT Gaming and even more. Since the casino requires no download, it’s also compatible with all operating systems that empower hardware in the computer industry. This includes Mac OS, Windows, Linux and any other operating systems that are out there in the market. Mobile casino supports iOS, Android, Windows Mobile, BlackBerries and any other mobile platforms with only one main requirement – it must support Java. The range of games that can be found at Guts.com is incredible, nothing else to add really. Merging the greatest software providers all together and offering them in a single platform is really the way to go. These are just 5 of more than 200 amazing games that are available with these ‘guys’. ­Magic Portals – online slot machine that was released by Net Entertainment quite recently and seems to already have gotten a fair bit of positive feedback from players who play slots quite often. From the first glance, it looks nothing more than a regular game, but there’s just so much more on the offer. Five reels and 25 pay-lines are the basics, but you also get two circle shaped portals on the first and fifth reels that will allow you to unlock the main feature in the game. Whenever two symbols of the same kind stop inside of these portals, all symbols of the same that have made an appearance on the reels are also turned into wilds. Mega Fortune – this is the official slot that holds a Guinness record for the largest progressive jackpot that has ever been paid by an online slot machine, over $20 million were won earlier this year! The game itself is nothing all that special and consists of 5 reels, 25 pay-lines, free spins feature a bonus round where you get to spin huge jackpot wheel! General theme is rather simple too – rags and riches. You’ll find symbols such as champagne, limousines, cash, diamonds and several others featured on the reel. Big Bad Wolf – an epic slot machine developed by MicroGaming and a game I have recently gotten quite addicted to! It tells a classic fairy tale of teacup pigs and a wolf who is obviously trying to catch and eat them. 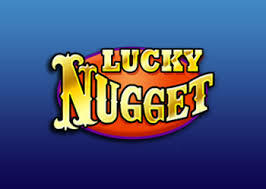 Hilarious graphics, sounds and a free spins bonus game. Kudos to MicroGaming for making something as awesome, as this slot. Starburst – unorthodox game and it also is not clear why so many players, myself included, are favoring this game so much. Okay, you get a chance to win both ways – from left to right and the other way around as well as an expanding wild symbol, but other than that? There is no free spins feature, bonus game or a progressive jackpot and only 10 pay-lines. Even with all these cons, Starburst is one of the best games ever released by Net Entertainment and certainly among the most powerful ones. Foxin Wins – a game developed by a relatively unknown company, NextGen Gaming, though no worse than ones developed by companies referred to as ”industry leading”. Foxin Wins slot features free games feature with randomly appearing foxes, who turn into random wild symbols, two additional bonus feature and a super-bet feature. Enjoy somewhat three dimensional graphics and a chance to play up to 25 pay-lines in this unorthodox online slot. New player? That’s amazing, as you’ll get a chance to claim the new player offer at Guts Casino – 100% match, up to $300 in bonus money. It features a 30x wagering requirement and is limited to players who play slot machine games. The wagering requirement means that you’ll have to wager at least $9,000 playing slots at Guts Casino, before a withdrawal request can be made and approved. That’s not the whole welcome bonus, though. You will also get a chance to claim 100 free spins on the aforementioned Starburst slot machine. This offer comes with no strings attached and money won is yours to keep. No small print about wagering requirements, as that is not how Guts operates. On top of the initial offer, you’ll also get a chance to participate in all promotions offered by these guys. One thing that you can count on is a constant stream of e-mails with free spins that require no deposits. I have personally deposited about $300 on Guts and receive e-mails like this at least once a week or every time they launch a new game! This is where Guts.com is way ahead of pretty much any other online casino in the industry. They process payouts within 2 hours of them being requested, but actually strive to provide instant withdrawals in near future! Banking method assortment is quite wide too, with classical methods such as credit and debit cards being on top of the list. You will also be able to deposit via Neteller and Skrill, which are the two methods withdrawals are fastest to! Deposit limits are initially fixed to $/£5,000, but can be increased upon request. Minimum deposit is between $10 and $20, depending on what method you’re looking to use. Getting in touch with Guts.com is a pleasure. They left a highly professional impression on me and I really felt that they want to help me, whereas getting me off their back as quickly, as possible, which I have had experienced at a couple of other online casinos. How to get assistance? There are several ways to do so – live chat, phone line, e-mail support and a very wide help section with answers to the most commonly asked questions. 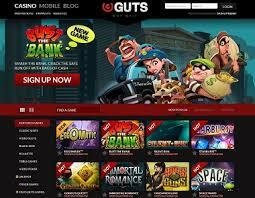 There are so many reasons why Guts.com is THE online casino you are looking for. Lets start with their games, which are powered by Net Entertainment, MicroGaming, Sheriff, Betsoft, NextGen, IGT, Omi Gaming and other top industry software providers. Then there’s the fact that Guts processed all withdrawals within 2 hours, which is simply amazing, compared to various other casinos who will put your withdrawal on hold for several days! Lastly, a 100% match welcome bonus, up to $300 will be awarded, if you make your first deposit now. On top of that, you’ll also get 100 free spins on the starburst slot with no wagering requirements attached to that offer!